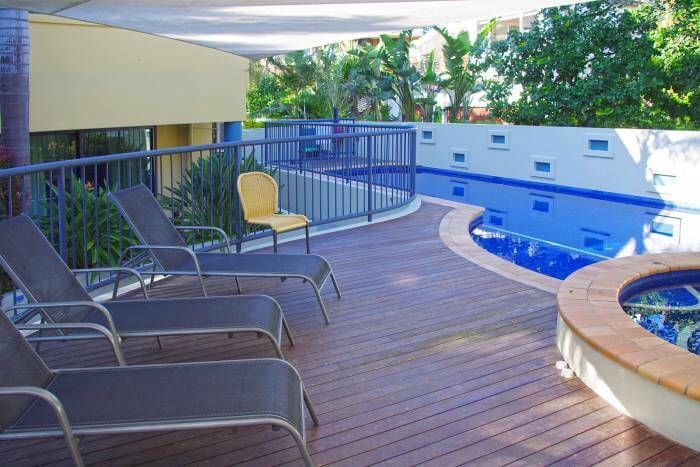 Enjoy the outdoors during your stay at The Cove Yamba! Not only do we have fantastic beachfront apartments, but we’ve got a number of facilities to make your stay even better. Take a swim in our outdoor pool and heated spa – they’ve been getting plenty of use these school holidays! You can also enjoy our garden courtyard and of course the spectacular beach just across the road.